Sadly, the Mirrors for Psychic Warfare european tour is cancelled for now. 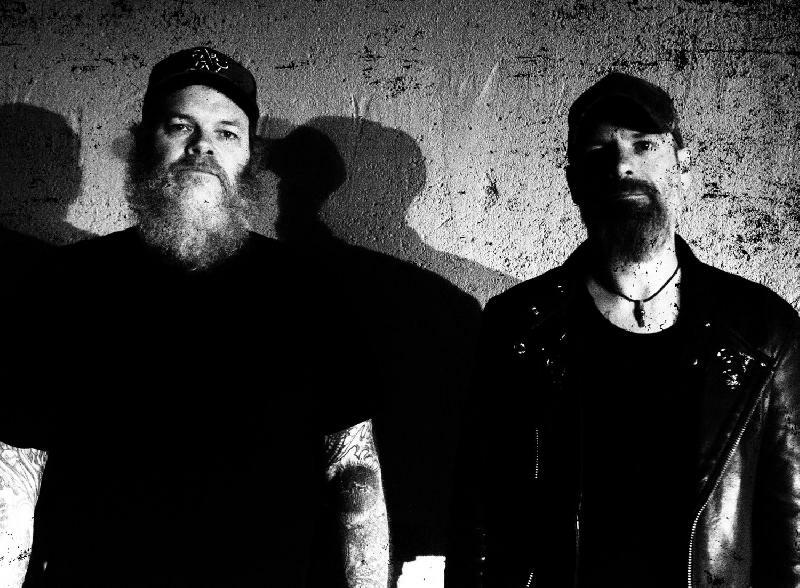 Mirrors for Psychic Warfare (Scott Kelly [Neurosis] & Sanford Parker [Buried at Sea]) & Sanford Parker Solo & support: Welcome aboard the Culture Ark! Sanford Parker’s body of work should not be considered as a collection of loose sheets. Such an oeuvre would be approaching the dimensions of a phone book that could crush a cockroach without any difficulty. It’s not easy to narrow it down to just a few highlights. Let’s put it this way: anyone who has lowered their ear into the chasm of sound between metal and industrial in the last ten to fifteen years will most likely have come into contact with Parker’s work. Perhaps through the bands and projects in which he is or has been involved as a musician: the doom-prophesying powerhouse Buried At Sea, the extreme-sound fraternization Corrections House, the doom/post-metal shamans Minsk, the black-metal junkies Nachtmystium, etc. Or maybe via the sheer volume of the releases to which he skilfully brought his very own toxic sound as a producer or sound technician. In this capacity, the name-dropping begins with Pelican, Eyehategod, Rwake, and Voivod and carries on far beyond YOB, Lair Of The Minotaur, and Woven Hand. In many cases (Minsk, Nachtmystium, Corrections House, Twilight, YOB, Blood Ceremony), he even combined the two areas of activity in an interdisciplinary radicalization of sound both through the amps and behind the mixing desk. A résumé that explains why Parker is seen as one of the most sought-after producers and a central figure in the Chicago subculture and its associated genres in general. But that is not all. It also gives you a rough idea of how obsessively he disseminates his exploration of sound throughout a wide variety of underground segments. However, there is little room for naturalistic peace-building in his crystalline soundscapes. The desert in his tonal language is post-apocalyptic. The forest is a hostile and hopeless place. In a way, this material is the translation of doom into the methods of electronic music. A concept work of cross-genre, dystopian music that builds on the loops and sequencer programs of industrial, but shuns purely linear song structures in favor of instrumental storytelling, the development of which expands a track into an entire world of sound. In the process, Parker knowingly invokes American and British industrial traditions, but equally, his microscopic detail work – primarily observable in the harmonics – could easily have come from German avant-garde electro institutions such as Raster-Noton or Mille Plateaux. Nevertheless, “Lash Back” imposes itself on the contemporary extreme music scene like the black monolith in Kubrick’s “Space Odyssey” – unassailable, incomparable, and perfect in form. From the start, opener “Psychic Driving” beats the membranes bloody from within. A sedate 70 bpm monster encrusted in a hostile saw-toothed sound. “Knuckle Crossing” navigates its way through a swamp of tar with the drone of a foghorn while shaker sounds hiss like rattlesnakes, whereas “Slow Children” grows from field recordings to the use of trap high hats, culminating in an industrial neuronal storm. Via the crackling fire and ice of “Low Gaps”, the album reaches its dramatic pinnacle in the shape of “Your Feral Blood”: a number with a relatively classic beat structure that breathes black fog over the dance floor while celebrating the beauty of the apocalypse. The final track, “Sheep Slaughter”, leaves behind the open end of a nightmare in noise. Overall, it is an album that is hard to digest and armed to the point of impenetrability. It is sublime in its impact, and without doubt the obstacle that anyone else who wants to be extreme, musically accomplished, and relevant this year will have to get past first. 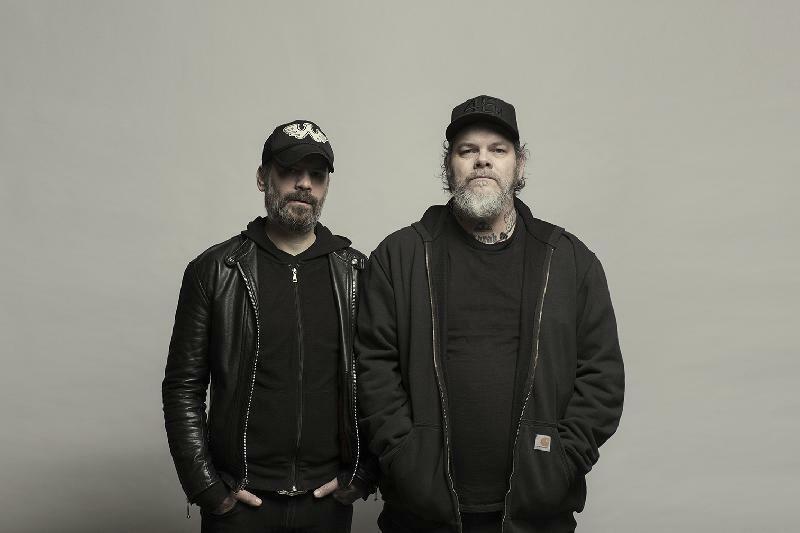 Mirrors for Psychic Warfare is Scott Kelly (Founding member of Neurosis, Corrections House, Shrinebuilder, The Road Home, Blood Caldera, River Of Madness, Tribes Of Neurot, and co-owner of Neurot Recordings) and Sanford Parker (Minsk, Buried at Sea, Nachtmystium, Corrections House). Scott Kelly and producer/engineer/sonic warlord Sanford Parker are restless. This inquietude has culminated in another collaboration (the two work together in Corrections House, a project that also features the talents of Mike IX Williams of EYEHATEGOD, and Bruce Lamont of Yakuza.) While Corrections House seem hell-bent on impersonal bludgeon and unfettered terror, Mirrors for Psychic Warfare are far more restrained. The bands haunting self-titled debut is the sonic manifestation of insomnia, complete with the tossing, the turning, and the perennial dread that comes with facing another shabby daylight.The five songs lurch and pulsate across a desolate landscape with an almost curious obsessiveness. While Mirrors for Psychic Warfare may remind some of the best work on the classic Cold Meat Industry label, there is enough familiar Kelly/Parker-isms scattered throughout to keep the album stimulating. It is a work with more in common with a fever or a fitful wraith than a record. Mirrors for Psychic Warfare will be supported by Sanford Parker who has released his debut solo album Lash Back on My Proud Mountain in 2016. Anyone who has lowered their ear into the chasm of sound between metal and industrial in the last ten to fifteen years will most likely have come into contact with Parker’s work. 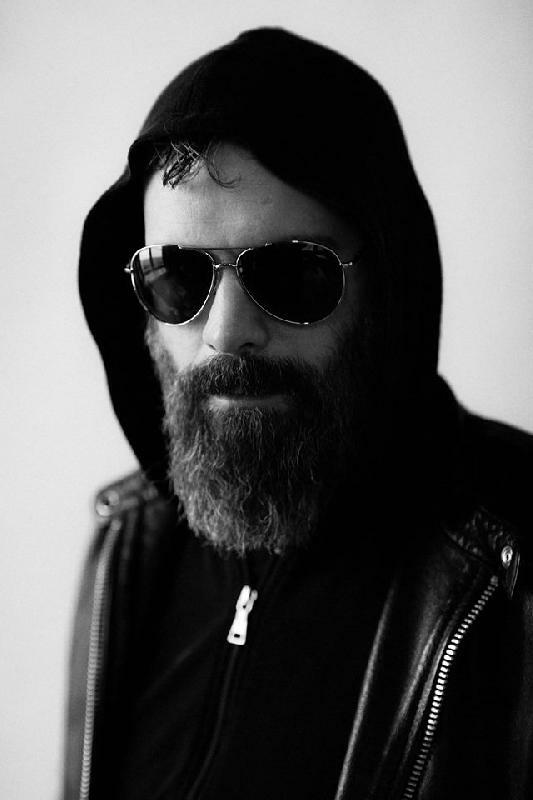 Perhaps through the bands and projects in which he is or has been involved as a musician: the doom-prophesying powerhouse Buried At Sea, the extreme-sound fraternization Corrections House, the doom/post-metal shamans Minsk, the black-metal Nachtmystium, etc. Or maybe via the sheer volume of the releases to which he skilfully brought his very own toxic sound as a producer or sound technician. In this capacity, the name-dropping begins with Pelican, Eyehategod, Rwake, and Voivod and carries on far beyond YOB, Lair Of The Minotaur, and Woven Hand. In many cases (Minsk, Nachtmystium, Corrections House, Twilight, YOB, Blood Ceremony), he even combined the two areas of activity in an interdisciplinary radicalization of sound both through the amps and behind the mixing desk. In a way, this material is the translation of doom into the methods of electronic music. A concept work of cross-genre, dystopian music that builds on the loops and sequencer programs of industrial, but shuns purely linear song structures in favor of instrumental storytelling, the development of which expands a track into an entire world of sound. Nevertheless, “Lash Back” imposes itself on the contemporary extreme music scene like the black monolith in Kubrick’s “Space Odyssey” – unassailable, incomparable, and perfect in form.